Craig obtained his Bachelor of Science in Kinesiology (Great Distinction) in 1999 while playing Huskie volleyball (’93-94) and Track and Field (‘94-01). He obtained his Bachelor of Science in Physical Therapy (with Distinction) in 2002 at the University of Saskatchewan. 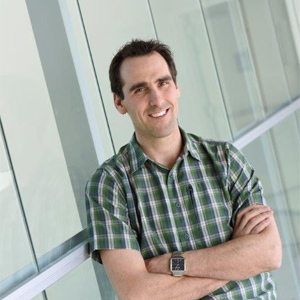 Craig obtained his Diploma in Manual and Manipulative Therapy in 2007 and became a Fellow of the Canadian Association of Manual Therapists in the same year. For the past 4 years, Craig has been a clinical teaching assistant with the College of Medicine and School of Physical Therapy at the University Of Saskatchewan. Clinically, Craig has a special interest in shoulder and spine injuries; both sports and work-injury related. He has presented to Saskatchewan Health Authority on “Assessment on the Injured Shoulder” in 2009, and had an appearance on Saskatoon Global Morning Show presenting on Ankle Injuries in 2010. Craig is very involved in the Saskatoon community as a minor hockey and soccer coach, as well serves as the team Physical Therapist for the Saskatoon Valkyries who are 4 time defending champions of Western Women’s Canadian Football League (WWCFL). Craig lives in Saskatoon with his wife and 3 children.